Begin the tour at the southern end of Hosier Lane, just off Flinders Street, at about 6pm (or just after sunset). Hosier Lane is abuzz with people: workers travelling home from the city, tourists photographing the diverse collection of street art, and artists creating new works up and down the laneway. During the day, Hosier Lane presents a friendly and inviting collection of bright murals, sculptures and paste-ups. However, at night, the space is transformed, with utilitarian lights highlighting almost at random different parts of different artworks. 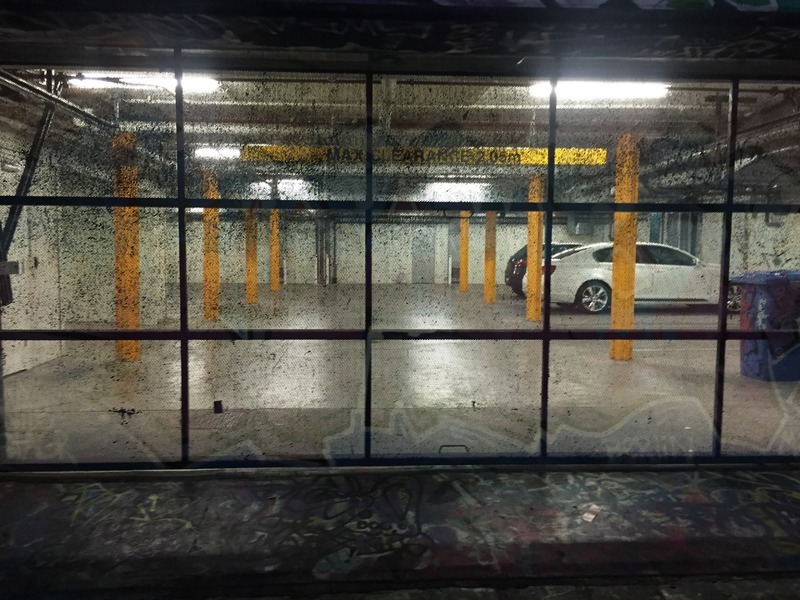 The multi-storey carpark off Rutledge Lane casts stripes of bright light across the space and creates uniform shadows. Of particular interest is a large, bright garage door on the northern side of Rutledge Lane. The mesh material allows you to see inside, and renders almost invisible the artwork painted on its face. During the day this artwork dominates this part of the laneway, with bright purple, orange and blue hues, and sharp, well-defined lettering. Now, though the material on which it's painted has rendered it invisible. To view the artwork, you need to press your face close against the mesh, revealing the colours and shapes of the piece. This action reveals the way the changing light can affect the power and perception of pieces, and can enourage audiences to engage with them in new ways. 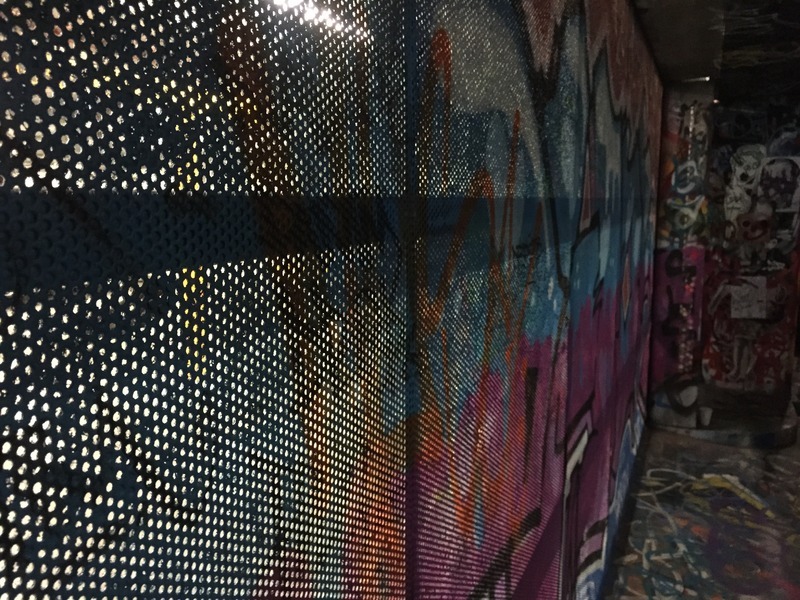 “Hosier Lane and Rutledge Lane,” Street Art deTours, accessed April 20, 2019, http://streetartdetours.com/document/1151.